After a day spent exploring the hot springs, lava flows and emerald-colored lakes of dual World Heritage site Tongariro Alpine Crossing, you’ll return to inviting accommodations eager to ease exhausted muscles with a massage based on traditional Māori healing techniques. An indulgent stay at New Zealand’s most luxurious properties punctuates this invigorating blend of outdoor adventure and leisurely pursuits. Let us pair our expert insight with your personal preferences to craft your ideal New Zealand getaway. From deep fjords and dramatic mountain ranges to the world’s 10th-longest coastline, New Zealand’s South Island is home to some of the best natural landscapes you’ll ever encounter. The relaxed port town of Picton offers spectacular activities along the waterways of the Marlborough Sounds. Search for Dusky, Bottlenose and rare Hector’s dolphins on a cruise through turquoise waters, or get even closer to the flora and fauna aboard a sea kayak, perfect for exploring the nearly 1,000 miles of verdant coastline. After a day spent in the sun, unwind with an aromatherapy Mahuru massage at Bay of Many Coves’ Miritu Spa. 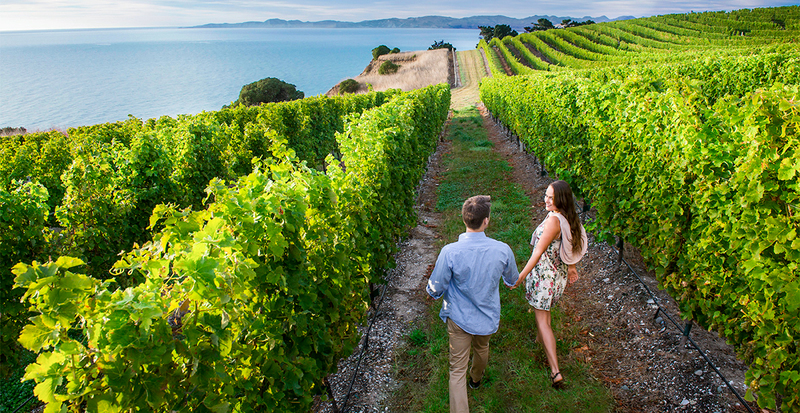 Insider Moment: Let us arrange a personalized tour of Marlborough's vineyards to sample the balanced, fruity wines that put this region on the map. 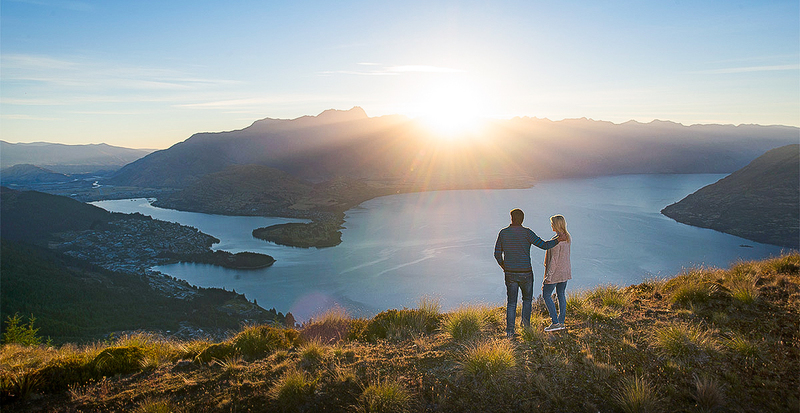 Queenstown’s mountainous surrounds and location on the shores of crystal-clear Lake Wakatipu make it the prime spot for unique, adrenaline-fueled activities. Go off-roading through 11,000 private acres of hill climbs and creek crossings aboard a sport quad equipped for riders of all experience levels. The stunning scenery quickly replaces any stomach butterflies with awe-struck joy during a tandem hang gliding ride. After an exciting day, you might opt to ease into the evening with a martini at elegant Nue, a champagne and martini lounge at the Sofitel Queenstown Hotel & Spa. 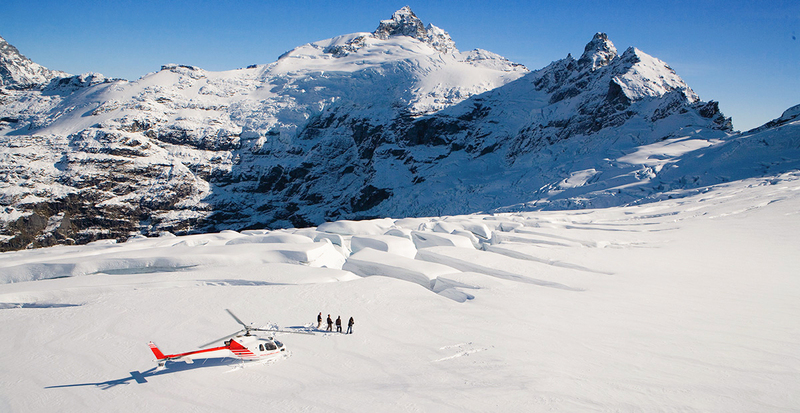 The adventure continues at the north end of Lake Wakatipu, where a helicopter transports you to one of 11 separate mountain ranges in the snow-capped Southern Alps for a heli-skiing run through sheltered basins and steep chutes. Or let a Blanket Bay guide lead you on a horseback ride high above the lake to the 100-year-old Scheelite Mines. Further cultivate your physical and spiritual wellbeing at lakeside Blanket Bay. Insider Moment: We’ll reserve your Manuka honey healing facial at the spa or arrange a nourishing five-course dinner of local delicacies like Canterbury quail and Hawkes Bay lamb short loin. The North Island features New Zealand’s largest urban environment in Auckland, bubbling mud pools in Rotorua and the beautiful white-sand beaches of Matauri Bay. 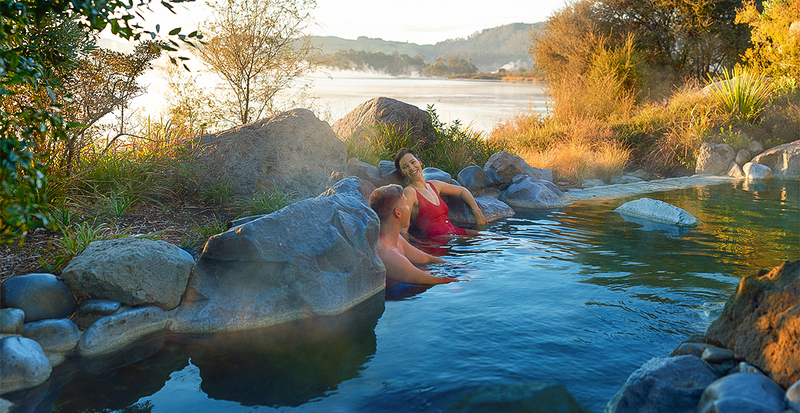 A faint scent of sulfur lingers in the air in geothermal Rotorua, where you’ll soothe the body inside and out with a dip in the natural, calcite-laden thermal pools and rejuvenating mud baths. Take a helicopter flight to Mount Tarawera, the site of the largest known volcanic eruption in New Zealand history, or revel in panoramic lake and volcano views from the comfort of your private sundeck at Solitaire Lodge. 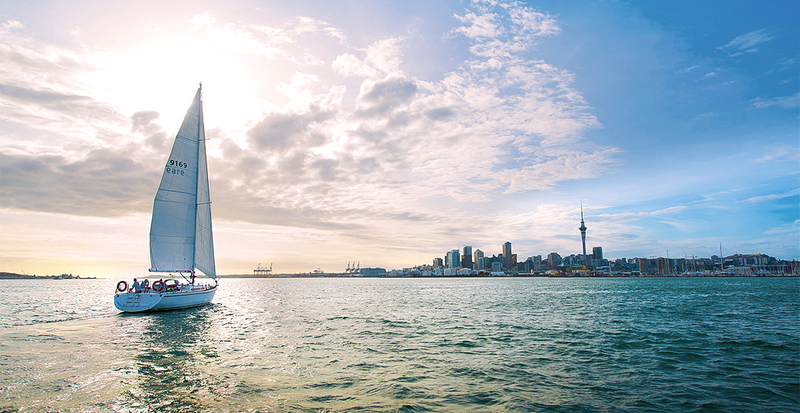 In Auckland, the City of Sails, take to the calm waters of Waitemata Harbour for a relaxing sea adventure on board an elegant sailing yacht. Behold the stunning city sights and gain insight from a knowledgeable crew as they tell fascinating stories of the harbor's history. For a more adrenaline pumping activity, take a leap of faith at the SkyJump, New Zealand’s highest jump where you'll fly through the air at approximately 50 miles per hour. Once back on terra firma, The Langham, Auckland’s award-winning Chuan Spa offers Qi-balancing treatments like the Thalgo Indocéane Experience, which soothes the senses with a body scrub, milk bath, body wrap and multi-step massage. Hang ten in Matauri Bay, a picturesque beach settlement north of Auckland where an easterly swell makes for a popular surfing spot. 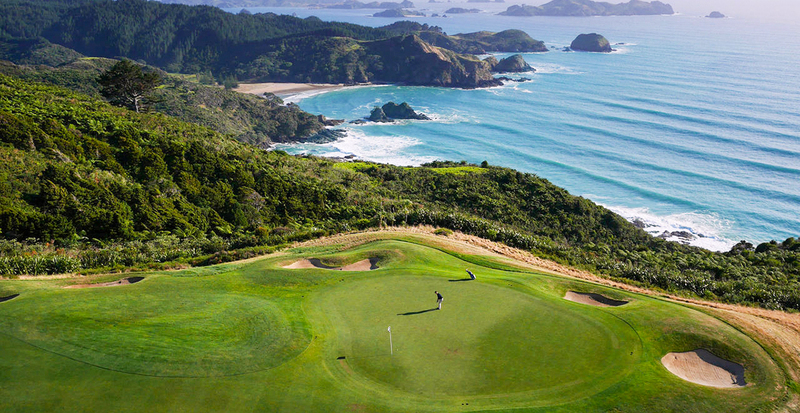 The area’s stunning blue-green ocean views also guide you through a round of golf at a par-72 championship course, ranked one of the world’s best. Insider Moment: Pair soft adventure with deep relaxation at The Lodge at Kauri Cliffs, set on 6,000 acres in Northland overlooking the brilliantly blue Pacific Ocean, where we’ll arrange a private picnic for two complete with a bottle of local wine. Curious about what other adventure-fueled activities New Zealand has to offer? Read all about this beautiful country’s signature outdoor experiences in our Ultimate Experiences magazine. Ask us how you can receive it today! Ready to explore New Zealand's adventurous side? Reserve your journey today and we'll pair each andrenaline-pumping activity with a refined and relaxing counterpart!